Burmeister suggested that the prejudice was based on the thinking that overweight candidates tend to lack self-control or the capacity for hard work. Amidst recent issues of a University of Mexico professor’s tweet saying that obese Ph.D. applicants lack “willpower” for dissertations, comes a study examining the issue of weight bias in universities. According to a recent study, academics who interviews graduate school applicants are more likely to favor thinner candidates for the placements. 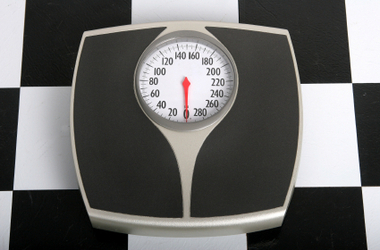 Researchers at Bowling Green State University found that graduate students with a higher body mass index (BMI) are less likely to be offered a spot in the postgraduate program. This was found after following 954 applicants and the progress made by 100 of them. However, the researchers found that when applications are reviewed remotely or candidates are interviewed via telephone there was no significant difference in the success rates for overweight candidates. The researchers suggest two possible explanations for the study’s findings. “One is that there is some sort of conscious or unconscious prejudice on the part of those carrying out the interviews,” Jacob Burmeister, one of the authors of “Weight Bias in Graduate School Admissions” and a doctoral candidate in Bowling Green State’s department of psychology, told the Times Higher Education. Burmeister suggested that the prejudice was based on the thinking that overweight candidates tend to lack self-control or the capacity for hard work. The second explanation suggested was that, “it could be that when applicants with obesity are put into a face-to-face interview and are aware of some of these stereotypes, it negatively affects their performance,” said Burmeister. According to the study, the bias is particularly pronounced in women, which “might be something to do with the stigma of obesity being felt more strongly among women,” assessed Burmeister. Another study by the University of Westminster found evidence of a link in people’s mindsets between BMI and a lack of academic ability. Lead author of “Weight Bias Against Women in a University Acceptance Scenario,” Viren Swami, was not surprised by Burmeister’s findings. “People who are deemed to be physically attractive are often perceived to have positive qualities, so those who are underweight and normal weight might be perceived as more clever, more sociable and perhaps more suitable for university,” said Swami. As for the recent tweet by University of Mexico’s Professor, Geoffrey Miller, Burmeister classified Professor Miller’s words as “unfortunate,” but also felt that some good may come of bringing the issue to the forefront of discussion. “Most people carry these biases, so the fact that they are expressed every once in a while isn’t terribly surprising,” said Burmeister. Have you experienced or witnessed weight bias in academia?